Francine is an insightful coach, a seasoned Organization Development Consultant, and a valued strategic thought partner to leaders throughout higher education and social benefit organizations. She draws on 30 years of work experience and a commitment to her own continuous learning to bring to her clients new perspectives, expanded options and a pathway for reaching their desired future state. 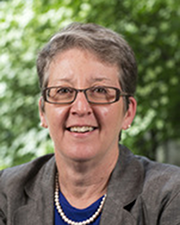 Since 2003, Francine has headed Crystal Clear Consulting which provides executive coaching, team development, strategic facilitation and customized human resource development strategies to dozens of higher education and social benefit organizations. Whether coaching a leader in a new executive position, working with an entire leadership team, or guiding an organizational change process, Francine is known for quickly establishing trusting working relationships, providing compassionate “straight talk,” and encouraging creative solutions.